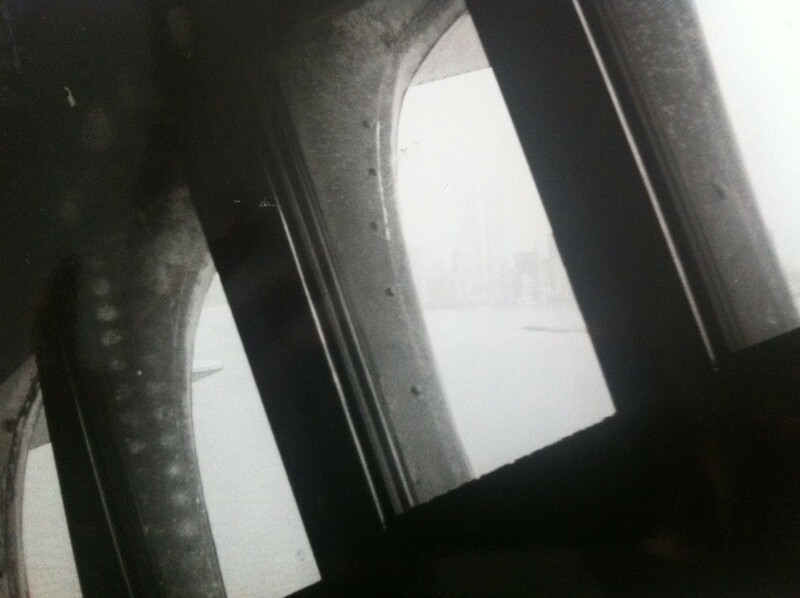 I took this photograph of the World Trade Centre through the crown of the Statue of Liberty in 1997. When I developed the photograph a couple of months after I took it, I remember thinking it was a rather ghostly image, with the skyline shrouded in mist. Looking at the image now, 12 years on from the September 11th attacks, it seems almost haunting. I am sharing the image today, on the anniversary of the attacks, in memory of the people whose lives were lost in this tragic event. The following words seem to sum up the experience of watching the horrific scenes of 9/11. It comes from Jonathan Safran Foer’s novel “Extremely Loud and Incredibly Close”. “The same pictures over and over.